Definition: Departmentalization or Departmentation is a process wherein jobs/teams are combined together into functional units called as departments on the basis of their area of specialization, to achieve the goals of the organisation. So, in this way, the entire organization is divided into parts, i.e. departments which comprise of a group of employees, who carry out activities of similar nature. It determines the functions/activities which are to be housed together and coordinated at the same place. Further, it groups the personnel, who will undertake the delegated functions/tasks. In a corporate ladder, every level below the top is departmentalized, and each subsequent level is further differentiated into departments. 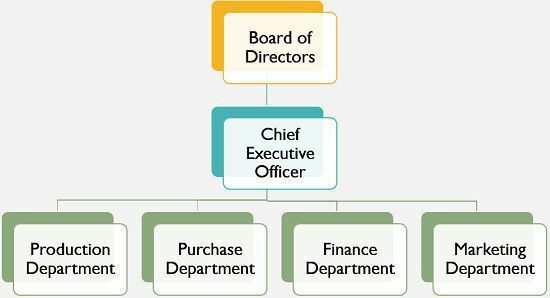 The top-level executives, groups activities in various departments, such as production, marketing, finance, human resource, research and development, etc. These departments are headed by senior executives, called as managers of the respective department. The departmental managers can delegate tasks and duties to the subordinates, and they are accountable to the chief executive for the performance of the department. Departmentalization of activities results in the increase in efficiency of the management and ultimately the enterprise. It is helpful in fixing responsibilities and accountability. Departmentalization by Function: When the creation of department is on the basis of specified functions, such as production, marketing, purchase, finance etc. In this method, all the activities related to a function or which are of similar nature are combined in a single unit, to give proper directions to the entire group in one go. 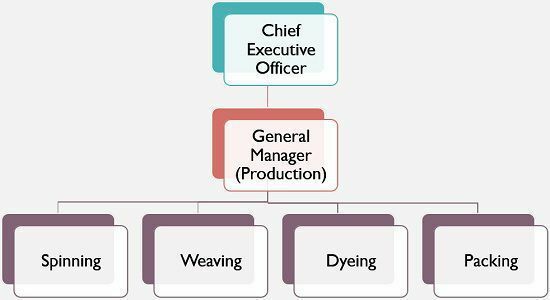 Departmentalization by Process: In departmentation by the process, the activities are grouped as per the production processes. These departments require manpower and material so as to carryout operations. 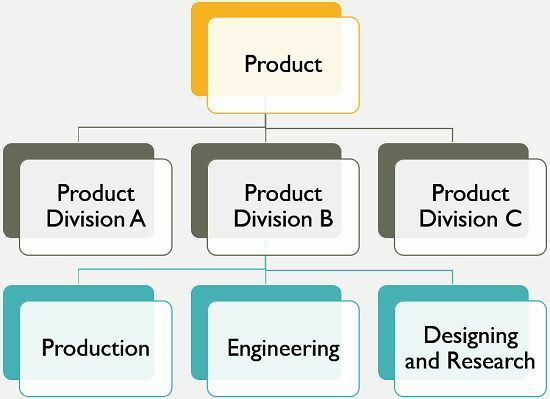 Departmentalization by Product: When the activities related to product development and delivery are combined into a particular division, it is called as product departmentalization. It is appropriate for large-scale multi-product enterprises. Departmentalization by Customer: The grouping of the organization according to the different classes of customer or clients. It focuses on special customer needs. Departmentalization by Territory: When the division is based on the geographical area, it is called as territorial departmentalization. This is suitable for the organizations, that have widespread operations at different locations. Departmentalization by Project: In project departmentalization, the organizational activities are classified by differentiated or special ventures or activities. The choice of departmentalization basis is influenced by the factors such as the degree of specialization, coordination, control, cost consideration, adequate attention to key areas, etc.